Visitors to Epcot during the 18th International Food & Wine Festival this year are doing a double take when they discover a Cranberry Bog located between Future World and the World Showcase. The Ocean Spray Cranberry Bog is so intriguing and eye catching, that we felt compelled to stop and learn more about it. Only WDWorld was fortunate enough to have Kristen Borsari, Ocean Spray’s Director of Marketing, answer a few of our questions! Only WDWorld: How long has Ocean Spray had a relationship with Disney World? Kristen Borsari: Ocean Spray has had a multi-year partnership with Disney since 2011. 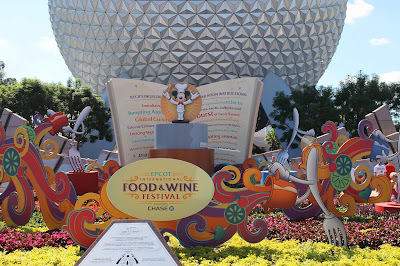 This coincides with our first bog display at the Epcot® International Food & Wine festival. Only WDWorld: Besides the Cranberry Bog, what are some of the other items/events has Ocean Spray promoted at Disney World? Kristen Borsari: Craisins® Dried Cranberries are the official fruit snack of Walt Disney World® Resort and Disneyland® Resort and available at various locations throughout the parks year-round. Craisins® Dried Cranberries are even included in various dishes throughout park restaurants! You can also find Chip & Dale Snack Company Granola Mix, which includes Craisins® Dried Cranberries, throughout the park. These are great healthy snack alternatives! In addition, we recently partnered with Disney to host a contest called “A Magical Adventure with Craisins® Dried Cranberries.” Our comical growers from our television commercials took a trip to Walt Disney World® Resort and had a blast at all of the park’s attractions, which we captured and shared on our social networks! The Craisins® Adventure ran concurrently with a sweepstakes giveaway for a trip for four (4) to win a trip to Walt Disney World® Resort or Disneyland® Resort, which received more than 50,000 sweepstakes entries over an eight-week period. You can view the adventure at http://www.Craisins.com. 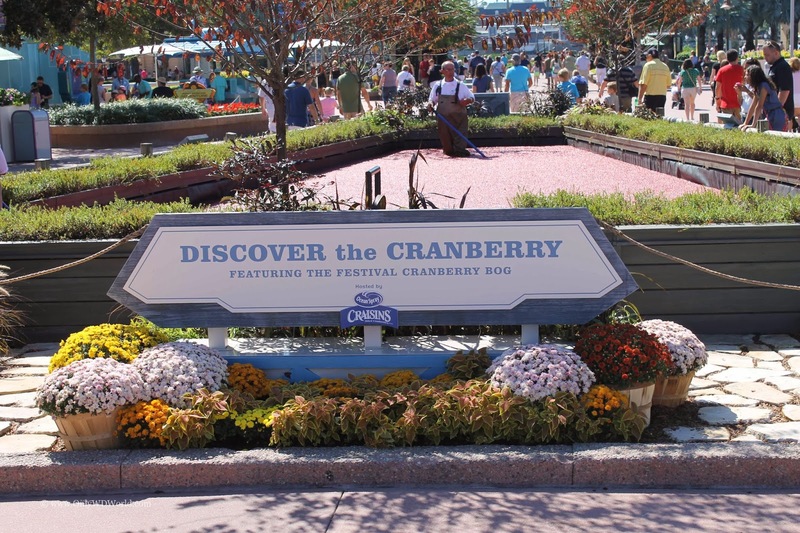 Only WDWorld: What does Ocean Spray hope that Disney World guests will take away from their visit at the Cranberry Bog during the 2013 Epcot International Food & Wine Festival? Kristen Borsari: We want to reinforce that the cranberry is Mother Nature’s super fruit! From its big, bold taste to whole-body health benefits, it’s a healthy addition to snacks and meals every day, everywhere, every way. Only WDWorld: Are there some dishes currently featured either at the Epcot International Food & Wine Festival or elsewhere in one of the Walt Disney World Resort Restaurants that include cranberries and should be on our reader’s list to try? Kristen Borsari: Now through Nov. 11, you can try the Craisins® Bread Pudding at Hops and Barley Marketplace as part of the 18th Annual Epcot® International Food & Wine Festival. And because Craisins® Dried Cranberries are the official fruit snack of Walt Disney World® Resort and Disneyland® Resort, they are available at park kiosks and on restaurant menus throughout the parks year-round. 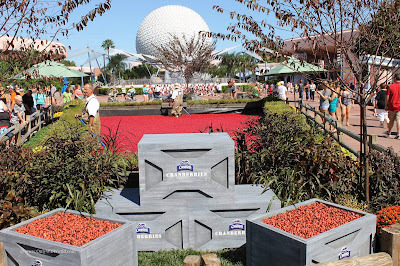 Only WDWorld: From a fun perspective, how many cranberries does it take to make the bog at Epcot? Do you have to keep refilling it during the 6 weeks of the Festival? Kristen Borsari The bog at the Epcot® International Food & Wine Festival is filled with more than 1,000 pounds of fresh, floating cranberries. It takes approximately 440 cranberries to weigh one pound, so the bog is filled with 440,000 individual cranberries! The berries get changed out three times during the six week period to stay fresh. Make Sure You Check Out The Cranberry Bog! We appreciate the time that Kristen took to answer our questions! Make sure you take the time to stop and check out the Cranberry Bog when you visit the Epcot International Food & Wine Festival at the Walt Disney World Resort. 0 comments to "Ocean Spray Brings A Cranberry Bog To Disney World During The Epcot International Food & Wine Festival"